However I still feel as though it's a hidden gem in terms of UK breaks and it's one that holds a rather special place in my heart. Because five years ago, I arrived in the coastal town as a nervous student, my belongings all packaged up in boxes, a new duvet set still in its wrappings and a place on Bournemouth University's prestigious Multimedia Journalism course. It's been two and a half years since I graduated, so I figured it was time to head back to see how my University town has developed in the time since I'd left. And my goodness, I was in for a real surprise. 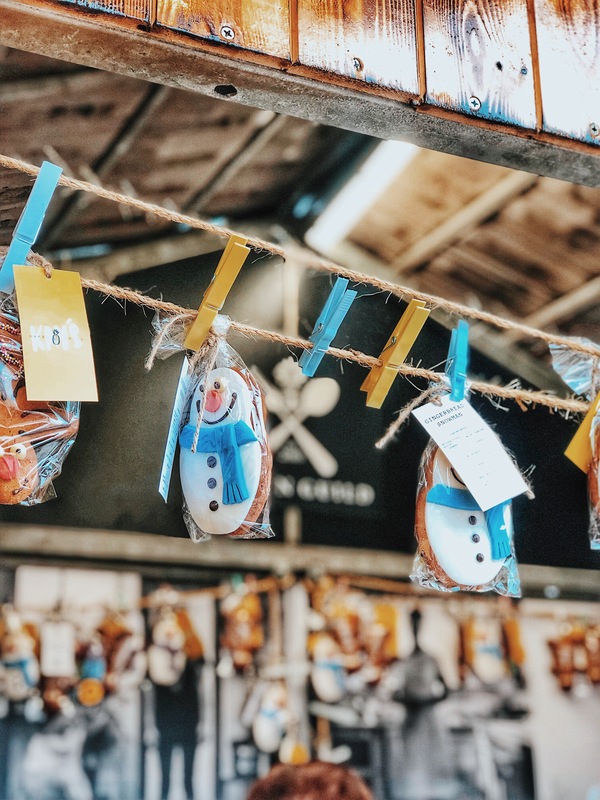 In just two years, the town has seen some stunning redevelopments, including a new leisure complex beside the beach, a brand new Hilton hotel and a re-vamped busy Christmas market. This is a sponsored post in collaboration with Bournemouth University. 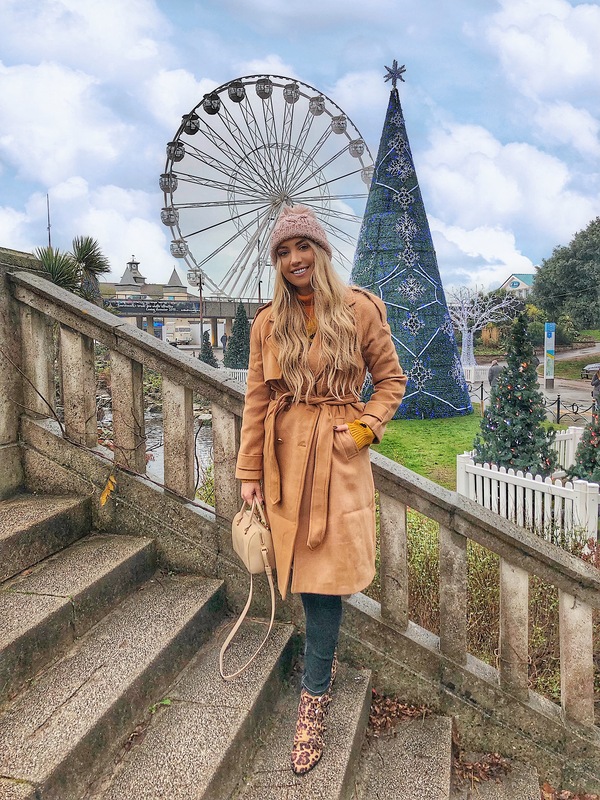 Bournemouth is a hive of illuminated activity during the Christmas period, with the lower gardens area transforming into a 'Christmas Tree Wonderland' with over 100 glittering trees. We arrived at the tree trail after dusk, which is the best time to catch a glimpse of the twinkling lights as the sun sets over the beach. It's really quite a beautiful display and incredible to see how much effort Bournemouth has put into making the walk to the beach as festive as possible. 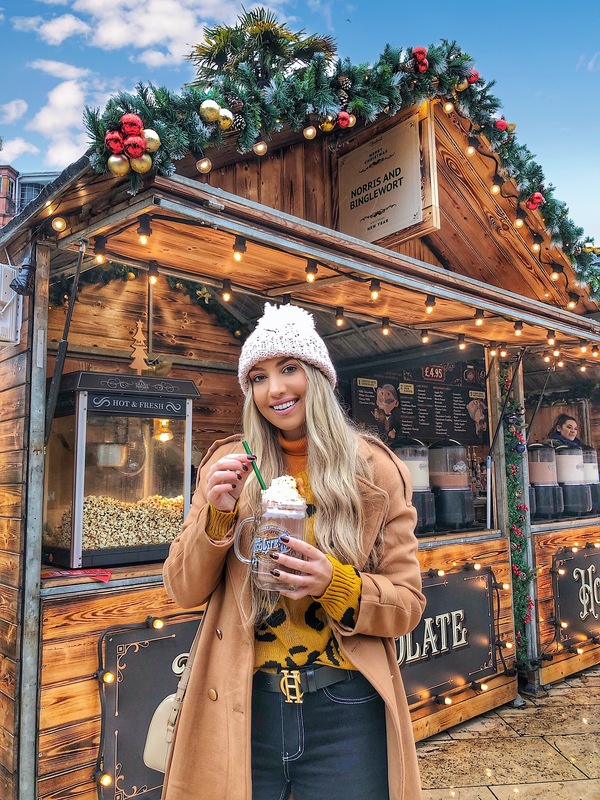 Located in the main square, the markets are another festive attraction, with an Alpine Bar centrepiece and a bustle of decorated huts each carrying their own delights. We picked up a wooden ornament as a gift, a Platform 9 and 3/4 coat hanger for our Harry Potter themed downstairs toilet and a bag of Old English fudge. 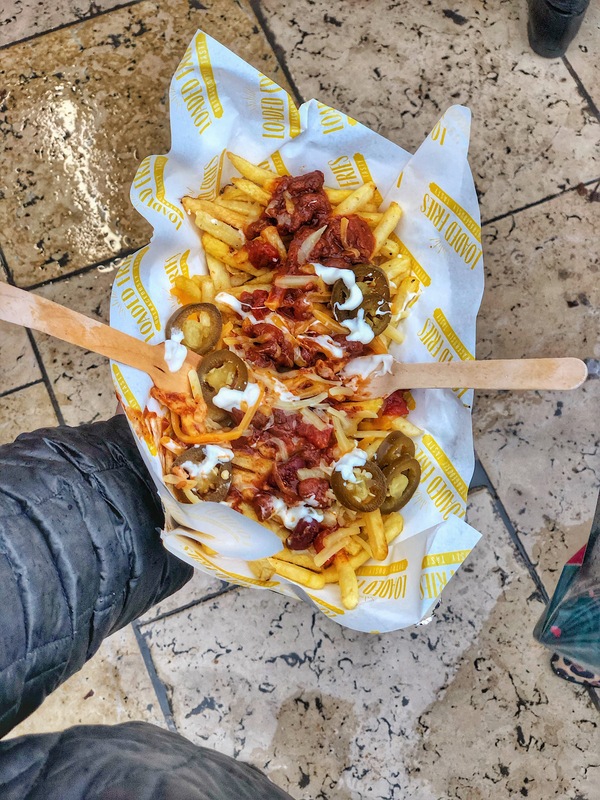 Foodies (my favourite word to make 'loving food' sound more civilised) can indulge in one of the many catering huts - including Bratwurst, Hog Roast, Loaded Fries and Churros. 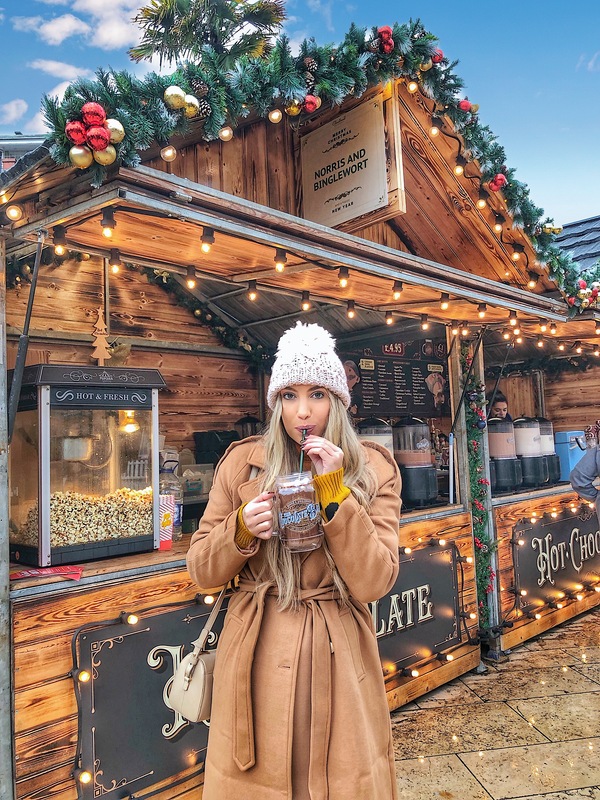 And for the real cherry on the cake (or should I say, angel on the tree) pop to the Norris & Bingelwort stand, where you can 'design your perfect hot chocolate' and choose from 'naughty or nice' toppings and flavours such as gingerbread, hazelnut, white chocolate or rum. They even offer a soya alternative if you're dairy-free/vegan! Bournemouth beach is a wonderful attraction, especially during the summer months of course, however during Winter you needn't miss out on the beach. During the festive season, a huge New York style Christmas tree adjourns the beachfront, alongside a glittering Ferris wheel - it's quite the spectacle! There's nothing quite like a walk on the beach - at any time of the year - just make sure you bring enough layers! With my student hall days long behind me, we booked into the stunning boutique Green House Hotel. Recognised as one of the top eco hotels in the world, the hotel is both luxurious and sustainable with 32 guest bedrooms. I was very impressed by the service at check in, which was extremely accommodating and set the tone for a wonderful weekend. Whenever I've been asked for dietary requirements at the booking stage before, I feel it's asked more as a formality than anything else, as for the remainder of the stay you find yourself repeating what you can and can't eat at every opportunity. However my dairy allergy was noted and vegan cookies were left in room, along with a flask of soy milk. It's the tiny details like this that really make the stay feel like a 'home away from home' (or even better than home - as it's rare we have vegan cookies that are topped up every night). What a treat! Bournemouth has always had a pretty tempting array of great quality restaurants, bars and cafes - however since I left the town a few years ago, the choice has increased two-fold. 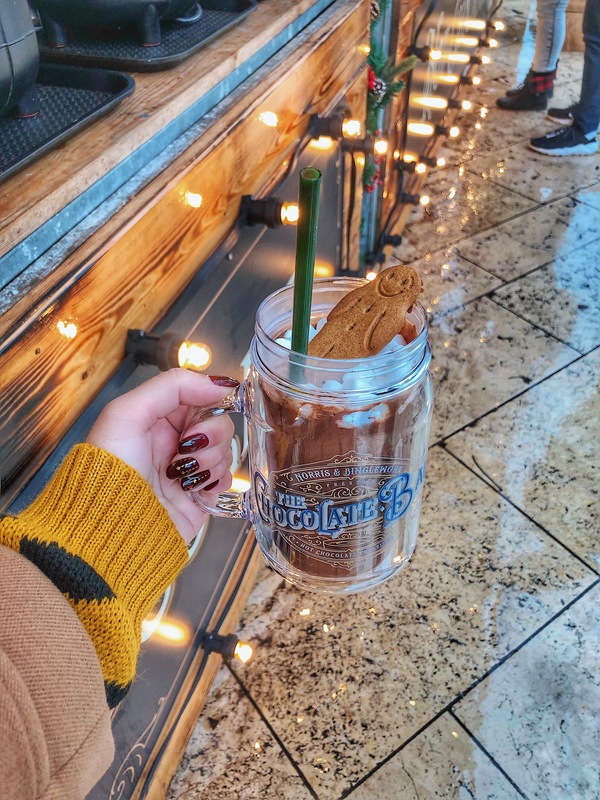 As well as chain favourites - such as Slug & Lettuce, Zizzi, Las Iguanas and Cote Brasserie - they also have some smaller chains and independents which are utterly fabulous. On our first night, we opted to dine at award-winning Koh Thai, following lots of personal recommendations. The restaurant is tapas style, however the portions are very generous and full of authentic Thai cuisine flavour. We loved the fact they have an adjoining bar, so you can warm up for your evening with a cocktail, before taking a seat at your table. I would recommend booking beforehand, as the restaurant fills up very quickly - but it's one not to miss! For early evening drinks, head to Aruba on the pier for an extensive menu of cocktails and a gorgeous sea view. If you're celebrating a special occasion or are visiting Bournemouth with a group of friends, Aruba is your best bet for a cocktail masterclass session - which they offer for just £18pp. They also have pretty good Caribbean food if you get a little peckish before dinner! The Arbor restaurant is another highly rated choice and we actually dined here for breakfast and dessert, as it was located in our hotel. They offer what I like to call 'accessible fine dining' options which are flavoursome without the small portion and pretence. The breakfast was incredible - they stepped up the avocado on toast game for me, with a layer of sweet chopped tomatoes underneath the avocado to give it a boost of flavour. I knew that I wanted to study at Bournemouth University from around the age of thirteen. A family friend had recommended the Media School there and dropped in the fact there was a beach nearby - and as a budding journalist, I was sold. In fact, when I turned 17 and began applying for University places, one of the recommendations online was to start an 'online portfolio' of your writing to add to your UCAS application, which is how my blog was born. 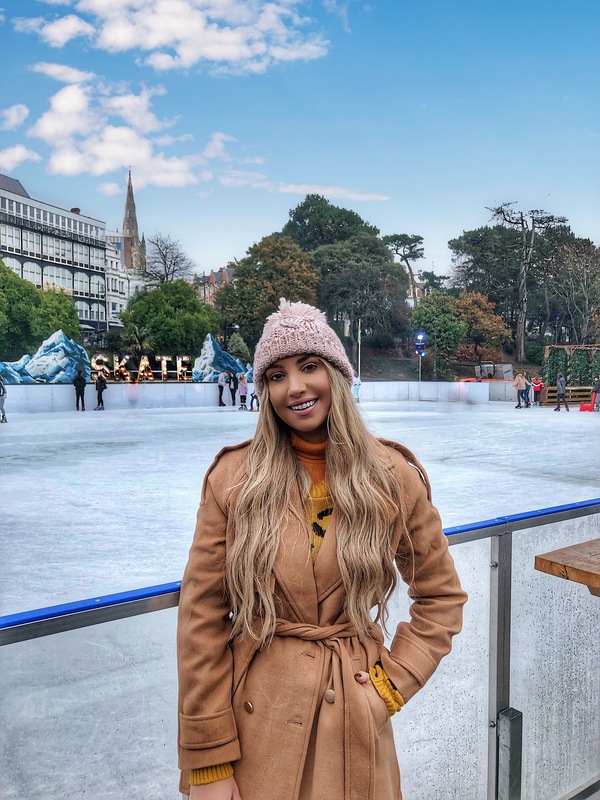 So you could say that if I hadn't applied to Bournemouth in the first place, I wouldn't be here today, as a full-time blogger and content creator. When I received news that my place on the Multi-Media Journalism course was confirmed, any nerves melted away and I couldn't wait to start my new life in the coastal town. University was a rollercoaster for me, which looking back I felt guilty about. You're sold the message that University will be the best time of your life and that you'll make lifelong friends, and when that doesn't quite happen, you can feel like a failure. But looking back, I took so much away that I'm only just beginning to appreciate. As well as gaining a sense of independence and maturity, I also developed my content creation skills (writing, editing, filming and presenting) and was able to refine what avenue I really wanted to pursue. The University provided me with a LOT of assistance and were exceptional when it came to supporting me when I was really poorly during my second year. Welfare support and friendly guidance is something that is often overlooked when considering a University, however when you arrive (often with your support system 100's of miles away at home) it can be very overwhelming, daunting and scary. Some of us need a little extra help, reassurance or a person to talk to. The Media School is one of the UK's leading, with many lecturers still in the industry and with plenty of contacts on hand to assist if need be. They have TV Studios with state of the art equipment, and the Multimedia Journalism course that I was on has an in-built NCTJ Qualification, so you essentially leave with all the qualifications you'll ever need to work in the ever evolving world of news, media and communication. There's even a University Magazine 'Nerve' you can write for to build up your skills and see your name in print for the first time! I actually edited the fashion section for the magazine during my second year and loved the experience it gave me. 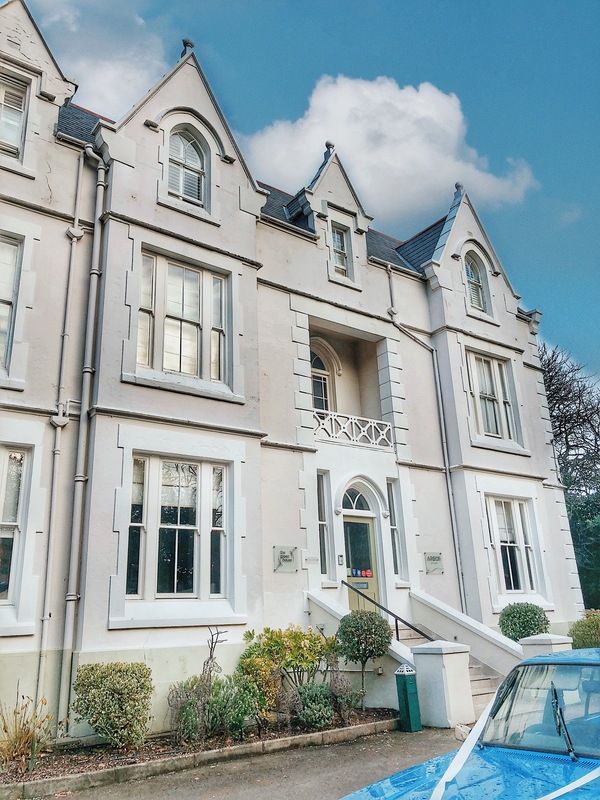 Bournemouth is a great place to live as a student, with a friendly, safe and welcoming environment - and an abundance of accommodation and facility offerings. They have recently invested in two vast new student centres and there's even more development to come. So if you are looking into further education options, Bournemouth is certainly one to consider! Have you ever visited Bournemouth? Or are you looking to study at the University? What did you think?